The Athens Exchange (ATHEX) general index ended at 773.51 points, adding 1.02 percent to Friday’s 765.67 points. The large-cap FTSE-25 index expanded 1.28 percent to 1,985.14 points. 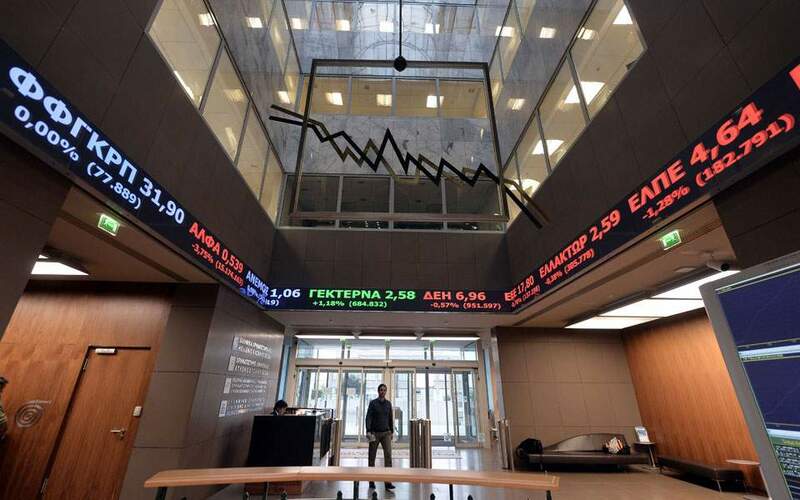 The banks index rebounded 2.76 percent, with Eurobank jumping 6.68 percent, Alpha rising 2.70 percent and National climbing 1.26 percent, as Piraeus gave up 3.29 percent. Grivalia Properties, which will soon be absorbed by Eurobank, grew 5.12 percent, and PPC dropped 2.26 percent. In total 62 stocks posted gains, 44 had losses and 28 stayed put. Turnover reached 72 million euros, up from last Friday’s 55 million. In Nicosia the Cyprus Stock Exchange improved 1.12 percent to close at 71.03 points.